It's that time of year again! Calling all High School Juniors!!! I am looking for high school Juniors to be my Senior Reps for the Class of 2011!!! I would like to solidify my senior reps in the next 2-3 weeks, so apply now. 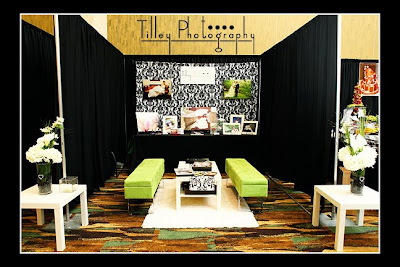 You will be a representative at your school for Tilley Photography. You will pass out cards with your own photos on them and get your classmates excited about senior portraits. I promise no stuffy fake backgrounds here – just fun custom senior sessions that you will WANT to show off. Also, you’ll keep an eye out for who you think will be a great rep from the Class of 2012! You get two free sessions: one in the spring and one in the fall. The first session must be completed this Spring for your rep cards that you will be handing out. You’ll get free prints from each session, 50 senior contact cards (in addition to rep cards), and unlimited web images to share via Facebook and email. There will be prints, money, prizes and free goodies for referrals, including an iPod Touch for my top representative! Already have an iPod Touch? Then you’ll get an iTunes gift card worth $200. You also receive 50% off any other service or product with me during your rep program. I may also offer additional specials just for you throughout the year. Your images may be used on my website and in promotional materials, so your parents’ permission and signature is required. Do you provide yearbook photos? Most schools require you to use their contracted photographer. But the sittings with them are usually free and include the yearbook submission. Your shoots with me are on location and customized for you, but do not take the place of your summer senior sitting for the yearbook. Deadline is April 16th or until I have filled the positions. I will post here when school positions are filled. An information session for my selected reps will be held in early May. 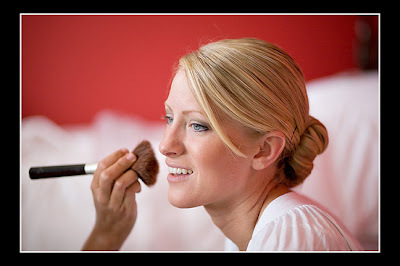 Looking your best in photos - should you get a professional make-up artist? So, maybe you are a bride deciding whether or not to get a professional make-up artist for your wedding day. Or possibly you are a high school senior thinking about having your make-up done for your senior portraits. Should you do your own make-up or hire a professional? There isn't a right or wrong answer here. Some people are extremely good at applying make-up and see no need to hire a professional. Here are some things to think about when making a decision. I will always suggest, when in doubt - hire a professional. I'm not saying you can't do a great job on your own. However, most make-up artists will know what make-up looks good in pictures, what make-up will hold up on a hot day, and what make-up will not run if tears begin to flow or rain begins to fall. There are lots of products out there that might look great in the mirror, but add the flash from a camera and you could be looking like Casper the ghost! You brush your own teeth every day, just as every day you apply your own make-up. But hopefully, twice a year, you visit the dentist to get a professional teeth cleaning, right? So why not - on such an important day - hire a professional? 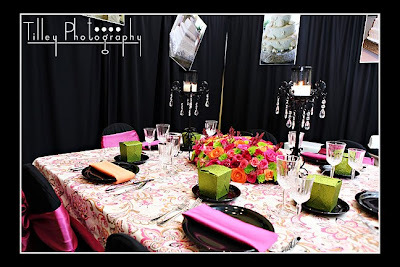 I work with amazing professionals that can fit into any price range. If you want a flawless complection and perfectly pouty lips that look like they came straight out of a fashion magazine - you can have them. This is YOUR wedding day. Or these are YOUR senior portraits. A one-time event. These pictures will be around forever, and a small investment of professionally styled hair and make-up will guarentee to have you looking your best!!! 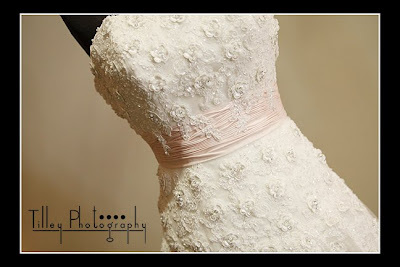 You are making an investment in the photos and clothing for the shoot or wedding day. For less than the cost of your shoes - you can be certain your make-up will look fabulous as well!!! 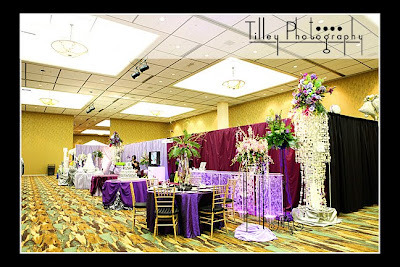 First, I wanted to thank everyone who came out to the bridal show on Sunday to make it such a huge success. 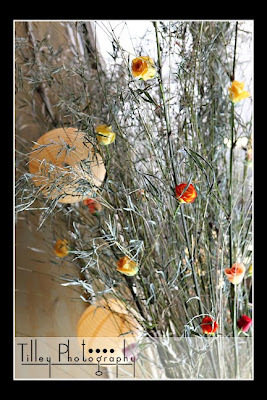 I met some wonderful vendors and brides and look forward to working with everyone one soon. 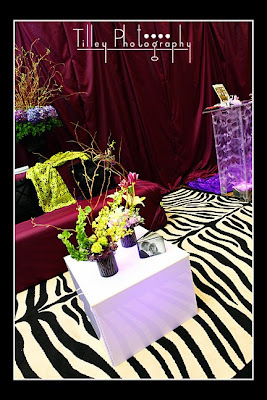 Here's a shot of my booth!! Special thanks to Brian, Kaitlyn, Joyce and Paul for helping me set it up and take it down! 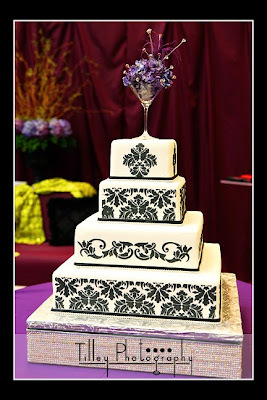 Melissa's Specialty Cakes not only does cakes, but wonderful catering and linens!!! 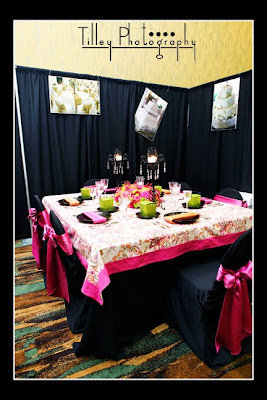 This was an awesome table from her booth. 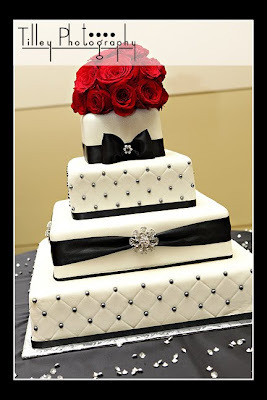 And here's one of Melissa's cakes she displayed, which just happened to be the cake she made for Ashton and Kaitlyn. 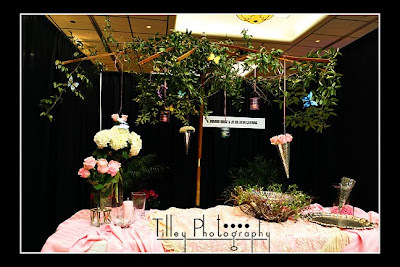 One of the favorite booth's of the show was from Imagine That florist and linens. Love all the purple! 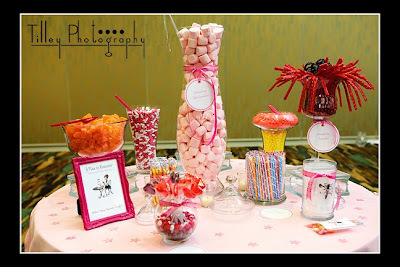 Susie Davis from A Plan to Remember event planning, designed this awesome candy buffet table scape! 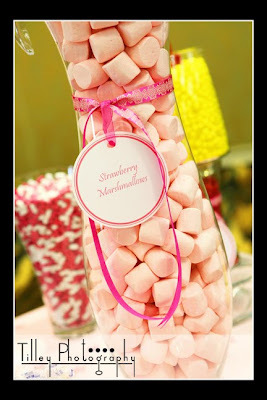 Candy buffets are great ways to let your guests enjoy their wedding favors! Susie and I enjoying the show! Jim Horn Entertainment was the MC for the event. He's a great DJ! I should know! I used him for my wedding five years ago! 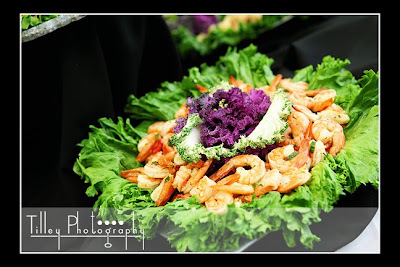 Broom's Catering in Ocean Spings had a lovely spread as well. The Domino House had a lovely garden booth. The hall was decorated for the Hall of Gowns! 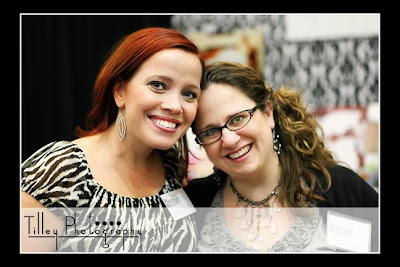 We had over 200 brides and lots of fun!! If you missed it this year, be sure to check it out next time!! !